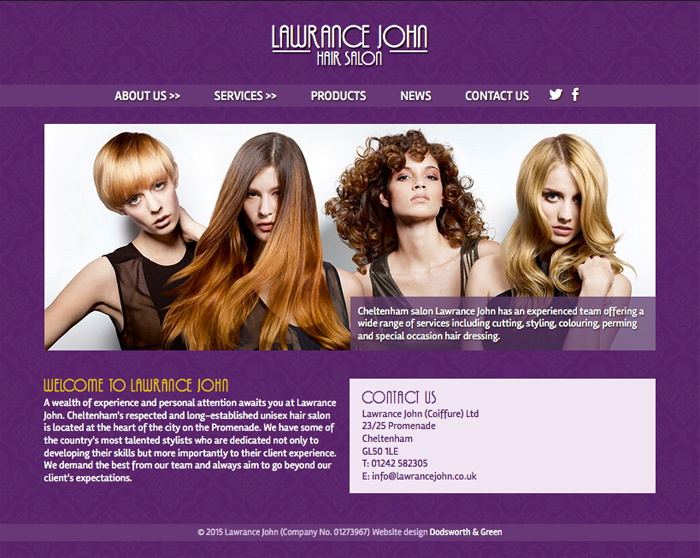 Copywriting and design of a website for a Cheltenham hair salon. The salon didn’t have an existing website so I started from scratch, developing a design in Photoshop based on the fonts and colours from their signage. I met with the owners to talk through the feel they wanted to get across and the services they offer and wrote the site content from this. The site was built in Umbraco, with a responsive layout. Bespoke features includes a staff gallery, with biographies of each staff member, and a homepage news slider.